Hon Ki Tsang is a Professor at the Chinese University of Hong Kong. He served as Chairman of the Department of Electronic Engineering from 2010-2016. He is currently Director of the Center for Advanced Research in Photonics and Associate Dean (Research) of the Faculty of Engineering. He served as Editor-in-Chief of the IEEE Photonics Society Newsletter between 2012-2014. He is the current Editor-in-Chief of IEEE Journal of Quantum Electronics. He also serves on the steering or technical program committees of various conferences related to integrated photonics, silicon photonics and optical communications. He is a Fellow of IEEE, Fellow of the Optical Society (OSA) and he received the Vice Chancellor’s award of Outstanding Fellow of Faculty of Engineering. Hon Tsang obtained a PhD from Cambridge University on III-V semiconductor waveguides devices and their nonlinear optical properties in 1991. He joined CUHK in 1993 and shortly thereafter branched out into the then emerging field of silicon photonics. From its small beginnings attracting interest from only a handful of groups, silicon photonics has grown in the last 20 years to become a mainstream technology for high speed energy efficient communications. It is emerging as a key technology for optical interconnects in data centers, with large volume silicon photonic products being manufactured by companies such as Intel. Despite having matured to commercial products, silicon photonics still remains a fruitful topic for research because of the many important potential future applications such as energy efficient on-chip optical interconnects in high performance computers, low cost lab-on-a-chip gas sensors and integrated biosensors, and integrated quantum photonic devices for quantum computing and quantum communications. 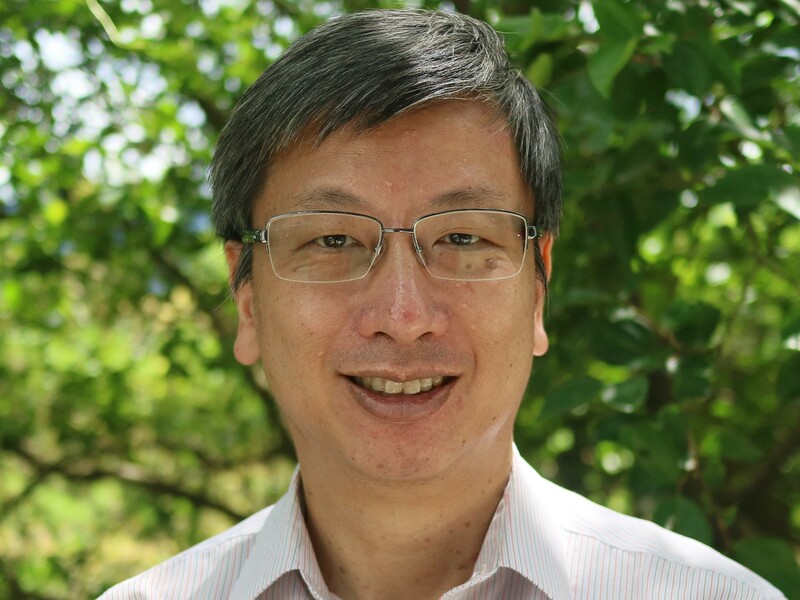 Hon Tsang has made fundamental contributions on the understanding of nonlinear properties of guided wave optics in semiconductors, having carried out some of the first studies of optical nonlinearities in silicon optical waveguides. As an R&D director in Bookham Technology plc, in the early 2000s (now Oclaro), he led the development team for the first silicon photonic integrated circuits to be deployed commercially in telecommunication networks. Those early silicon photonic products enabled dynamic balancing of optical power levels during the reconfiguration of Wavelength Division Multiplexed (WDM) networks. Please email Prof Tsang if you are interested in joining his group. We have openings for summer research interns and PhD students. Candidates interested in pursuing a PhD degree in photonics or joining Prof Tsang’s group as a researcher are encouraged to apply. Financial support of PhD students via postgraduate studentship (PGS) of HK$16660 to $17215 per month (effective from August 2018) are available. Potential students may also consider applying for RGC PhD fellowship (note deadline of application to RGC is in December of each year). There are also ongoing opportunities (application open all year round) for Postdoctoral Researchers to apply for funding support to join my group, using various Hong Kong government funded schemes for postdoctoral researchers, such as the Postdoctoral Hub from ITF. Candidates with good publication records from one of the top 100 ranked institutions may email Prof Tsang to apply.